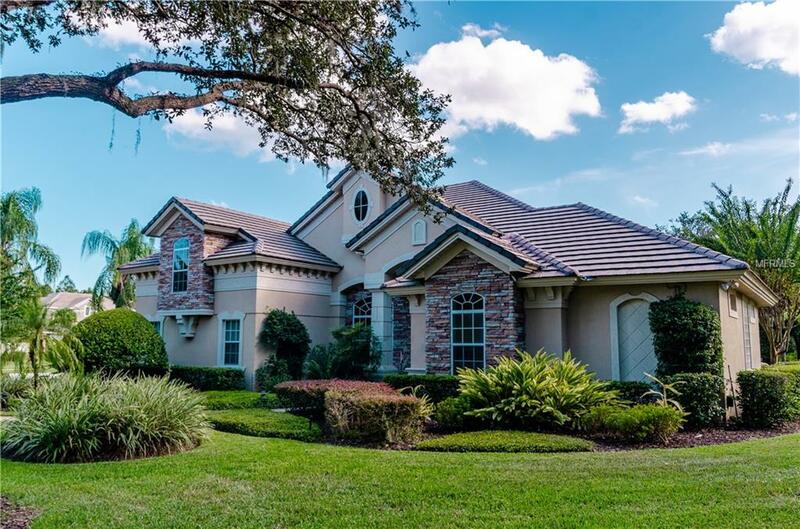 Tucked Away in the Private & Upscale Gated Community of Carisbrooke is Your New 5 bedroom 4 bathroom Lake Mary Custom Built Home sitting on a Large Corner Lot on over 1 acre of Lush Landscaping and Privacy waiting for You to Arrive! Your Move In Ready Home has Recently been Painted, Updated and Rightfully priced to have You Move In before the Year's over! Be Mesmerized as You walk in through its Grand Entrance covered with Travertine Flooring and Volume Ceilings into the very spacious Living Room overlooking Your crystalline pool. You will love Your Floor Plan equipped with 4 bedrooms located downstairs and 2 very large rooms located upstairs with a full standing bathroom. Be Fascinated as You walk into Your grand Master Bedroom located on the 1st floor with incredible views and access to Your saltwater pool. Your Master Bathroom is adorned with travertine floors throughout, double granite counter top vanities, standing shower, beautiful freestanding bath tub, and a custom built closet. Your Gourmet Kitchen is equipped to entertain and adorned with 42" cherry cabinets, large walk in pantry, center island with prep sink, custom granite counter tops and stainless steel appliances. Entertain Your guests in Your family room or bring them outside to Relax in Your Private Tropical Screen enclosed patio. Hang out by Your Salt Water Pool or Hot Tub adorned with Paver Decking and LED Lighting. Your New Home is conveniently located near I-4, 417, Top Schools, nearby amenities, and Colonial Town Center Park!